Apple is said to have ordered a new television drama series titled See, the latest move by the company's rapidly-expanding content group. 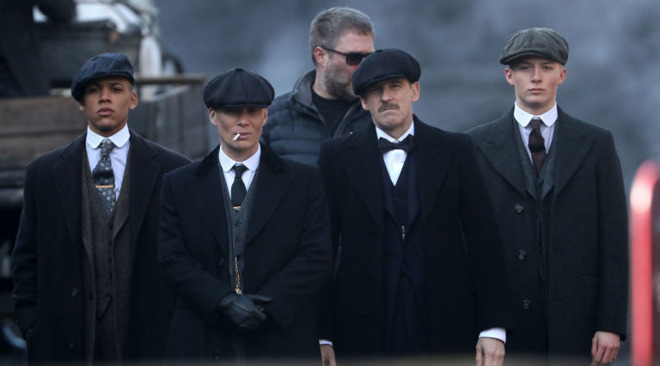 Apple's new series comes from the creator of Peaky Blinders. See is said to be "an epic, world-building drama set in the future." Oscar-nominated screenwriter Steven Knight of Peaky Blinders fame will pen the script while The Hunger Games director Francis Lawrence is slated to be behind the camera. There's no word on how much Apple will pay, and the series will likely run for 8 episodes, according to Deadline. Apple is known to have picked up at least four other scripted series and one docuseries thus far. The company is making a major push into content creation, poaching longtime Hollywood executives Jamie Erlicht and Zack Van Amburg from Sony to bootstrap a new video programming division. Apple is expected to spend at least $1 billion on the endeavor, which would still put it far behind competitors like Netflix in terms of spending. Each move Apple's video group has made until now has been on the television front - expected given Erlicht and Van Amburg's television backgrounds - and it's not clear how far their ambitions expand beyond that horizon. Apple has nibbled around the edges of feature films and music production but has yet to take the same kind of leap in those areas.